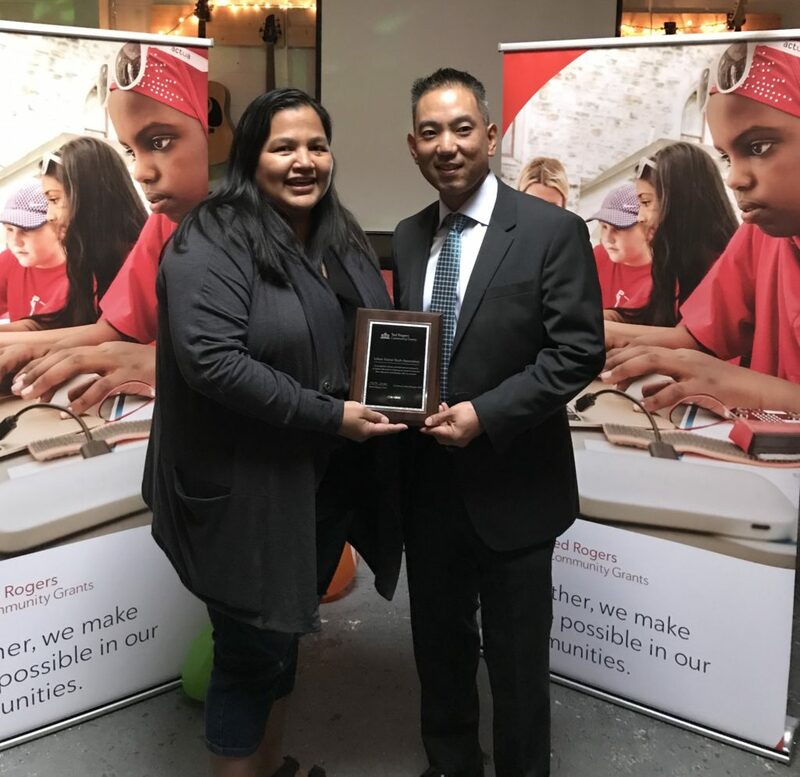 Urban Native Youth Association is proud to announce a new community partnership with Rogers, who recently provided a $25,000 community grant to support our Native Youth Learning Centre and School Support programs. Urban Native Youth Association delivers over 20 programs to support and empower Indigenous youth in Metro Vancouver. Through our School Support program, we help Indigenous secondary school students to stay in and do well in school. In addition to this, our Native Youth Learning Centre provides services and training for youth interested in pursuing further education and employment. "Receiving the Ted Rogers Community Grant gives us the resources we need to better support and engage Indigenous youth who are looking for help with their education and careers." The Ted Rogers Community Grants program is dedicated to providing up to 100 community grants each year to organizations across Canada that are focused on unlocking learning and leadership opportunities to aspiring young leaders. These grants support charitable organizations running innovative community programs focused on inspiring youth to continue their education and to develop skills to help them succeed. In addition to its annual Community Grants, Rogers helps young leaders through the Ted Rogers Scholarship Fund, a program that provides educational opportunities to the brightest young leaders across the country. Earlier this year, over 150 scholarships were awarded to deserving youth across Canada. Urban Native Youth Association’s School Support program provides Indigenous youth ages 12 to 18 with the support they need to stay in and do well in school. Building on this support, our Native Youth Learning Centre helps to make sure Indigenous youth ages 15 to 30 are set up to succeed as they pursue further education and employment, through a wide range of learning, training, and certification opportunities. Click here for more information on our education and training programs.